The long term relationship between Marshalls and two Scottish brothers, who owned a tea plantation in Assam, India, starts in 1875. William and John Jackson were travelling back to the UK to resolve some manufacturing problems and whilst stranded in Assam came across a small Rice Mill, which had a Marshall portable steam engine driving a centrifugal pump for irrigation. They were told that it had been working trouble free for ten years. They decided that on arrival in England to visit Gainsborough and a deal was struck for Marshalls to manufacture William’s proposed idea for a machine to process tea. This visit would lay the foundations for a long term relationship lasting over 40 years and Marshalls would become one of the largest manufacturer of tea rolling & drying machines in the world. In October 1877 the drawing office at Marshalls started on working tea machinery drawings. 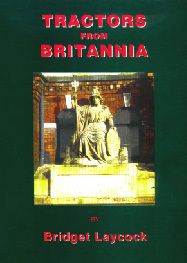 Production of a new Jackson Tea Roller commenced at Marshalls in 1880, which was followed in 1892 with the manufacture of the first tea dryer named “The Britannia”. Later dryers were named Paragon and Empress. By 1895 a new patented rotary tea sifting machine and a tea leaf ball breaking machine made their debut and in 1898 the first Gainsborough built vibrating tea packing machine was manufactured. In 1930 the first C.T.C. 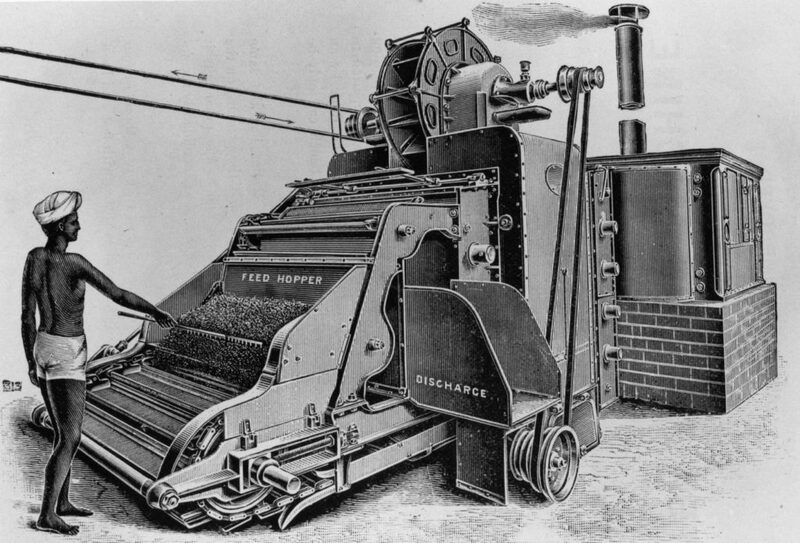 (crushing, tearing & curling) tea machine was manufactured, designed by Sir William McKercher and proved to be highly successful. The introduction of the ‘Briton’ tea packer also proved a valuable addition to the company’s range of machinery. The ‘Quality’ Tea Dryer and the new Double Action Tea Rollers were introduced in 1945. Marshalls took over the manufacturing rights for the Triturator, which was first used in Africa in the early 1950s, by Brooke Bond and 1968 marked the introduction of the new Marshall Hot Feed System of Tea Drying. In 1975, with the takeover by British Leyland Special Products, the manufacture of all tea machinery ceased in Gainsborough, ending a 100 years connection with the town.